Between its multiple delays, much talked about graphical finery, and eventual rapturous reviews, the third Witcher game was every inch the AAA project. 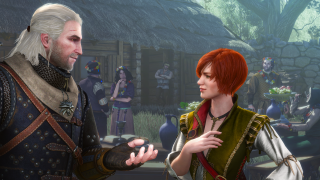 Now CD Projekt has revealed some interesting numbers behind the making of The Witcher 3: Wild Hunt in its summary of the first half of 2015, including that it cost a whopping $81 million to make. That figure includes not just the development budget, but also an extensive promotional push that included 40 "fine-tuned" campaigns in "every key market" as well as a simultaneous global campaign, a combined effort that CEO Adam Kiciński said was "a daunting task." A few other interesting figures he cited: CD Projekt's internal development team was made up of more than 240 people representing 18 nationalities, while around 1500 people were involved in the development and launch of the game globally. The Witcher 3 was published in 15 different languages, seven of them fully dubbed, which required 500 voice actors in total. $81 million is an awfully big pile of money, but it's actually not outrageous in terms of modern blockbuster game budgets. EA is rumored to have blown upwards of $200 million on Star Wars: The Old Republic back in 2012, while Rockstar reportedly sunk more than $260 million into Grand Theft Auto 5—a figure that, again, includes both development and marketing. Ken Levine was quick to dismiss the New York Time's $200 million estimate of BioShock Infinite's cost, but even if its guess was double the actual amount spent, it's still a frighteningly large pile of zeroes. Another analyst estimated last year that Blizzard spent $50 million on Titan before deciding to cancel it altogether. So it's undeniably big biscuits, but nowhere near the top of the heap. More importantly, it was all worthwhile in the end. "It was a good investment, because in the first six weeks after the launch of Witcher , we generated six million copies," Kiciński said. "We sold six million copies of the game, and made a net profit of zł236 million [$63 million]."